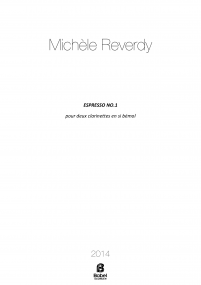 Michèle Reverdy was born in Alexandria, Egypt, on December 12, 1943. 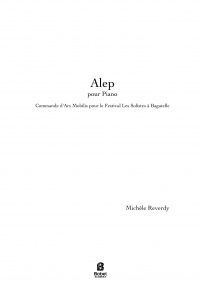 She studied music at the Conservatoire de Paris with Olivier Messiaen and Claude Ballif, and was awarded first prize in counterpoint, music analysis and composition. 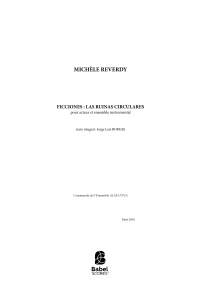 She was a resident at Casa de Velazquez de Madrid from 1979 to 1981. 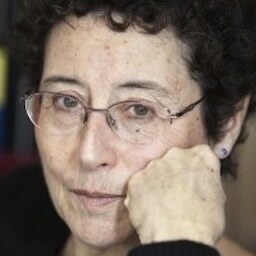 From 1977 to 1992, she worked for Radio France as a producer on France Culture radio station. 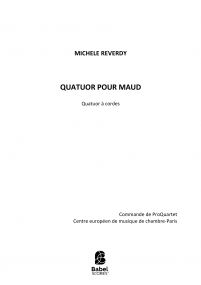 Starting from 1983, she began teaching music analysis and orchestration at the Conservatoire National Supérieur de Musique et de Danse (CNSMDP) in Paris. 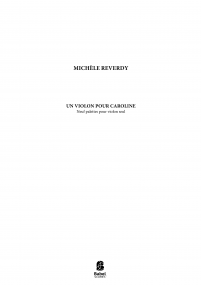 She has composed for a large number of chamber music groups, including soloists, duets, trios, 2 pianos 2 percussions, string quartets, wind quintets. 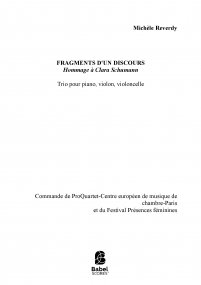 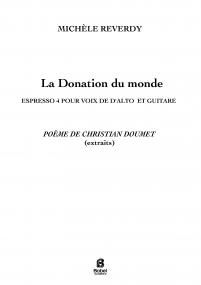 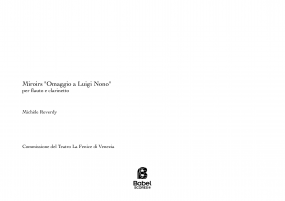 For voice: Sept Enluminures (texts by Serge Poliakoff), Nouvelles du monde après (poem by Christian Doumet), Les Amours jaunes (poems by Tristan Corbière), De l'ironie contre l'absurdité du monde (poems by Joachim Du Bellay, Sandro Penna, Lewis Carroll, Hans Ulrich Treichel, Federico Garcia Lorca). 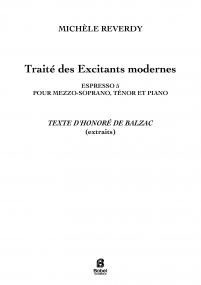 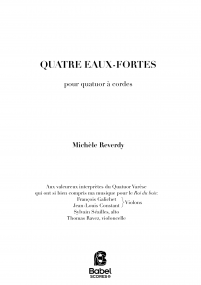 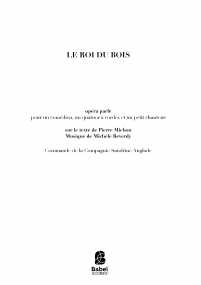 For vocal ensembles: Trois Fantaisies de Gaspard de la Nuit (poems by Aloysius Bertrand), En la Noche dichosa (poems by Saint Jean de la Croix), Propos Félins (Text by Anne Reverdy), La Fable de la Mort et du Boxe(u)r (text by Christian Doumet). For chamber orchestra: Météores, Scenic-Railway, Chimère (concerto for viola), Concerto pour orchestre, all commissioned by Radio-France and Ensemble Inter Contemporain. 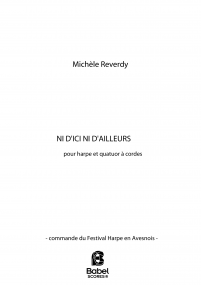 Michèle Reverdy has also made a name for herself in other genres such as musical theater and opera musical theater: Le Nom sur le bout de la langue, in collaboration with Pascal Quignard, La Haute note jaune (vie et mort de Vincent Van Gogh), Le Précepteur - commissioned by Hans Werner Henze for Münchener Biennale 1990 - after Jakob Lenz, Le Fusil de chasse after Yasushi Inoué, and Médée after Christa Wolf, created at Opera de Lyon and staged by Raoul Ruiz in 2003. 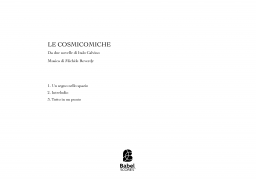 She has recently composed an opera-buffa, based on two short stories from Cosmicomiche by Italo Calvino. 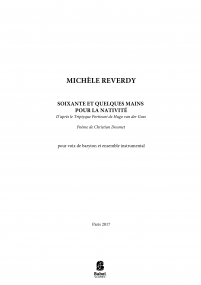 At the end of the year 2017, her total work includes 93 opus. 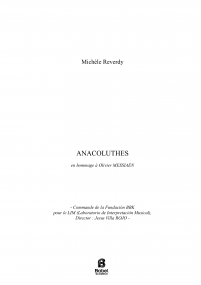 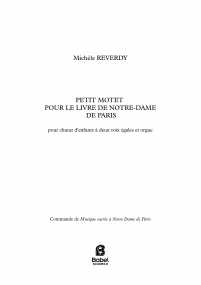 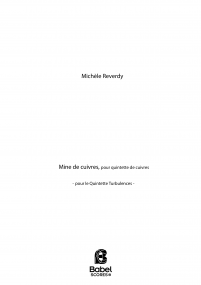 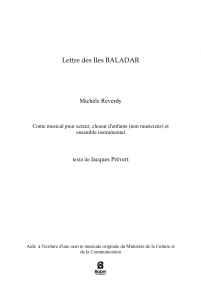 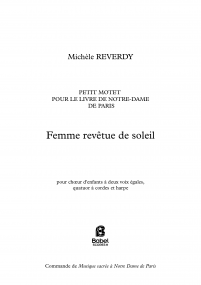 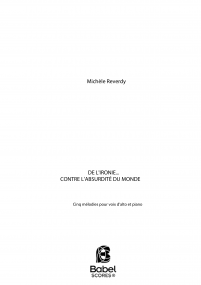 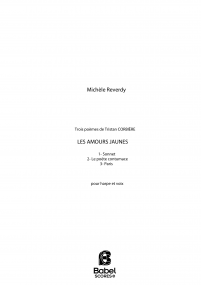 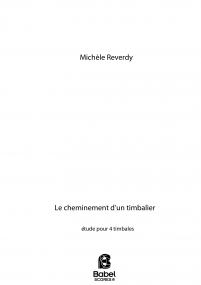 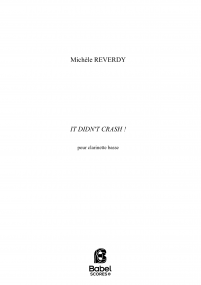 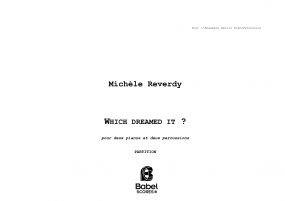 Michèle Reverdy has also written two books about the work of Messiaen, and a study entitled Composer de la musique aujourd'hui. 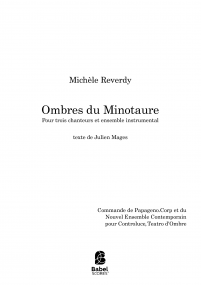 Michèle Reverdy, Compositrice intranquille: "She unveils a very appealing creative world, rooted in a mysteriously obsessive past for which her working table is the tireless outlet".